Don't Starve Shipwrecked is a standalone expansion for Don't Starve: Pocket Edition. It has the same characters and creepy music but in this installment you will be collecting supplies on desert islands that are inhabited by terrifying creatures and traversing the high seas on survival-made craft in search of other islands as you try to stay alive. 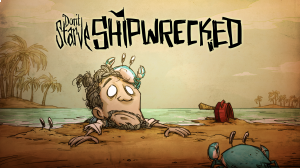 Although Don't Starve Shipwrecked is a standalone game new players are expected to be familiar with the characters and concept as there are no tutorials. How do you Unlock the Exclusive Characters? Where do I Build a Base? How do you Craft Boats? What are the Crock Pot Recipes? What is a Science Machine? What is in the Free Content Update?